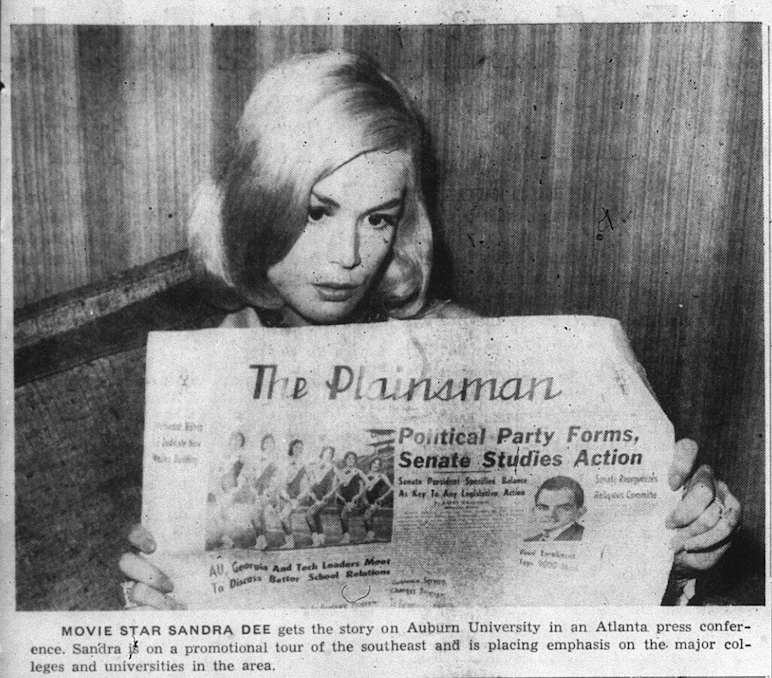 Sandra Dee and Something Auburn—that’s a TWERthy combination if ever there was one, even if the Something Auburn is an I’m-dead-inside shot of her that looks like she’s in a shack on the Macon County line holding up The Plainsman like some sort of proof of life or something rather than the other photo they say they took of her in Atlanta during the southern swing of her promotional tour for If a Man Answers (advance showing at the Tiger Theatre late show!) 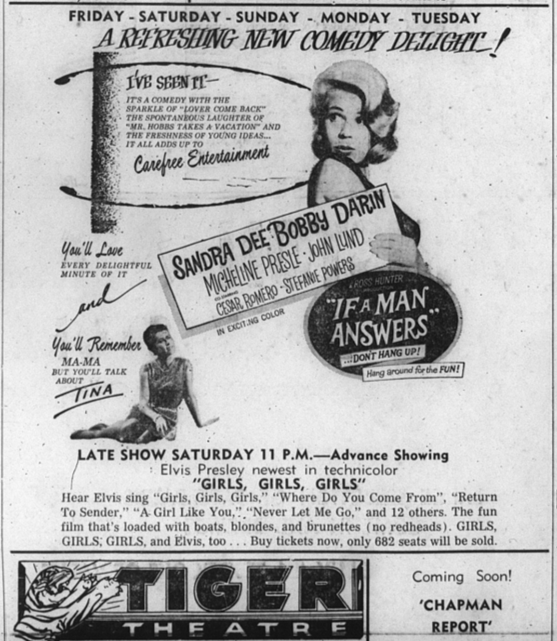 in November 1962 cuddling a stuffed Auburn Tiger, lookin’ all lousy with virginity and stuff. Guess they had to brag. But man, can you imagine the posts we could have done had they actually kidnapped her?